The value of your comic book is heavily dependent on it’s condition. While there is a standard industry-recognized grading system in place, it is ultimately a qualitative process. Mint is the best possible condition. To attain this grade, a comic must have a completely flat cover with only very minor defects in the binding, if any defects at all. The ink is still crisp, the cover is glossy and the corners are sharp. For a Near Mint rating, there must still be no rust on the staples but there can be very minor wear on the binding. The cover should still be flat with no visible wear and little to no fading in the ink. The corners should still be crisp with only very minor blunting allowed. Inside pages are off-white to white. The ink reflectivity on the cover should still be medium-high to high. At this point, the comic book was probably read maybe 3-5 times, but is still in very good condition, has great eye appeal and is clearly stored properly. There may be small creases on cover that break color, but the spine is still well-kept with only a few stress marks. The ink still pops and the cover is still glossy. In the Fine grade, you can have one major flaw like a small quarter inch missing from the cover or a tear no larger than about 1-inch. The interior pages are off-white and aging. The binding may be creased and stressed. Cover can be loose from staple but must still be attached. “Very Good” is misleading, because at this grade we start to see clearly visible wear-and-tear. The comic book has clearly been read but is still very readable as well. Major creases in the pages and spine roll is allowed. At this point, there is little to no original gloss left on cover. Inside pages are not white anymore. However everything should still be intact for the most part, with no more than minor pieces missing from front or back cover. At this grade, the comic book is still very readable and still have collectible value, but it also has many visible defects. There is no cover gloss left and the inside pages are starting to turn from off-white to yellow. Some pages may have sizeable pieces missing. The comic book is creased and scuffed. At this stage, the comic book becomes somewhat fragile. The “Fair” grade category signifies a heavily worn comic book. For the most part, all the pages and most of the cover remains, however the book is aesthetically unattractive– heavy creases, spine split, missing staples, rounded page corners. Tape may needed at this grade, however tape is rarely recommended to ever be used. The comic book has seen better days. Being the last grade category, this grade is reserved for books with major defects such as the front cover missing. The inside pages are probably brittle and weak. There may be mildew stains and the ink may be gone in certain spots. It’s a safe bet that at this stage the book most likely has no collector value. As you can see, there are no steadfast rules when determining your comic book’s grade. It’s always recommended to get a professional appraisal, especially if you’re dealing with a high-priced collection. 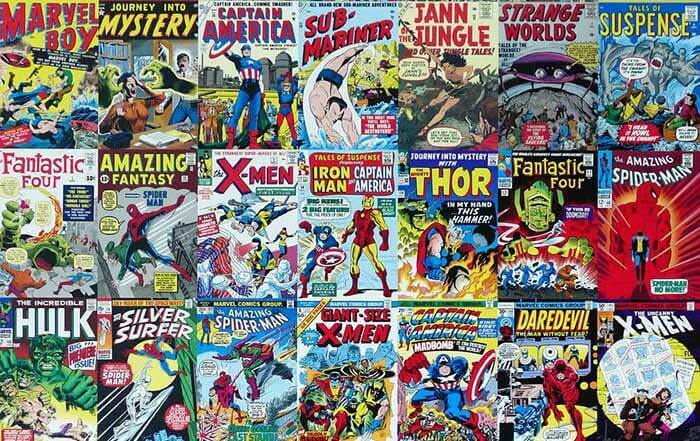 If you’re interested in establishing a grade for your comic books because you’re interested in selling them, give us a call at 800-743-9205 or fill out our seller inquiry form. We can not only help you determine an accurate valuation, but we frequently make all-cash top-dollar offers. Reach out today and let us help you!